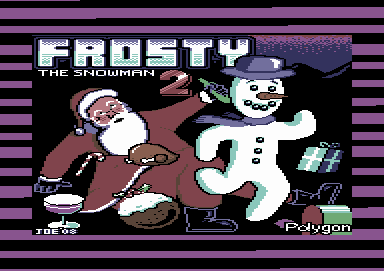 This was another free game, this gem came with ‘Your Commodore’ and is the must play free C64 cover tape game that is Christmas themed ever released in my warped view. It’s basically a two player obstacle race across festive themed fun, it’s frosty meets Combat School. I actually quite enjoyed this game for some unknown reason.